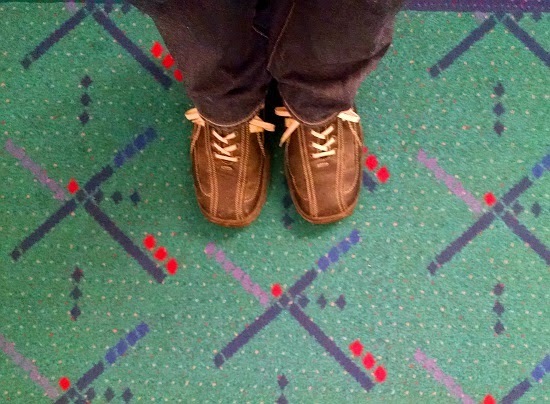 For Thanksgiving, this year, I have left Portland and traveled south to the LA area. It's not so much about the need for a little warmth, after the Arctic blast that tried to put Portland in a deep freeze, but the need to spend some time with extended family. Alas, armed only with my cell phone, Corningware411 will more than likely sit fallow for the next few days, aside from potential CIA photos (Corning Ware In Action). I did not want to leave you all empty handed for that long, so, on the right of the page, under the "About Me" section, I have added some static "Information pages" on Corning Ware patterns. Yes, there are multiple pattern posts all over this blog, but this should be easier for research purposes. All the patterns, in one place, on one page, and with dates of manufacture (if known).